I remember once many years ago when I was holding my crying daughter a friend of mine came and told her, “don’t cry.” I said, “It’s okay, crying is allowed. You don’t have to tell her not to cry.” She looked surprised. “What should I say then? Cry?” That conversation revealed to me that people may simply believe that the way to console or show concern for someone who is crying is to say “don’t cry.” It is as if not to say that means that you want them to cry, to be unhappy. I might have fallen into the same groove had it not been for two teachers who came into my life as soon as I became an Amma. The first was Vimala McClure whom I have never met. Before going home, my midwife gave me a folder with a few pages photocopied from various articles. Two of the sheets contained an excerpt from an article called “On Crying” by Vimla McClure, who, I later learned, was an infant massage teacher. Looking skeptically at these papers, my sister remarked, “so if the baby cries you are supposed to read this article “On Crying?” I am not sure where that article is right now, but it taught me that crying, even if not understood, was not to be silenced. There is a subtle yet significant difference between offering comfort to a baby and expecting that baby to demonstrate comfort in a timely manner. Reading this article reminded me try to meet my daughter’s needs without trying to stop the crying for the sake of peace and quiet. She might be hungry, tired or wet. She might want to bathe or go outside. Or if she does not know what she wants, she might be looking to me for guidance. She might also want to express grief – she might miss the womb, for example. (Parting is such sweet sorrow.) We can try to meet infants’ expectations to be held snugly and use a sling to help them transition to the world more smoothly. We can show that the world is a safe place by welcoming them into our everyday activities. They may seek reassurance again as they grow through stages of childhood and adolescence. Questioner: Why are you crying? Questioner: Oh, that is nothing! Baby books and articles that emphasize that babies cry for a reason do so in order to encourage readers to listen and not to ignore crying babies. Because, believe it or not, there are plenty of advice-dispensers who will say in fact, that we should ignore them so that they “learn that crying will not get them what they want” or that they “learn to soothe themselves” and eventually “learn not to cry.” They (of course) argue that this is for the good of the baby. Believing this, many parents pass along the same advice to others. In cases where it “works,” in the sense that those whose cries go unanswered eventually give up and need not be told “don’t cry,” they carry the message forward. Another way people dismiss crying is by suggesting that it is “by choice.” As in, “he just likes to cry.” There would be nothing wrong with this statement if underlying it was not the assumption that one should not like to cry, and that rather one should avoid crying whenever possible and only cry if one simply could not help it. In short, one should demonstrate sufficient effort towards internalizing the “don’t cry” imperative or else forgo any expectation of support or sympathy. It takes a good deal of self-esteem to defend your right to cry in a world that sees crying as weakness or even shameful. So what do we do when we don’t know why a child is crying? Be patient and rest assured that the reasons are free to come out in their own time. Be prepare to hear the reason without dismissing it, without evaluating it against the volume of crying, or even rushing in to solve it with the ulterior motive of ending the crying. Entrust your child with enough time and space to think through the trouble and ask for help if needed. Provide a safe space where one can express emotion unconditionally, be heard or remain silent. Intervene if others demand explanations or shame your child for crying. The reason will come out it in its own time. It is okay not to know the reason or – dare I say it – not to have a reason. It is, in short, okay to cry. What if my child is crying because of something I did (or did not do)? This poses a challenge because you probably think (know!) that whatever you did does not warrant crying. Especially if there is something you could do but have decided not to do, it will take time and patience to explain yourself. The first thing you can do is acknowledge that you do need to explain yourself. It is possible that there is some compromise that will satisfy the needs of all concerned and you can make an effort towards finding that. In so doing, you should keep your focus on meeting people’s needs and not on ending the crying for its own sake. Do not treat crying as a banned emotion. There may be times when you cannot solve the problem but you can still offer a safe space for people to cry, and you can keep channels of communication open for any bright new ideas that may solve the problem. Simply showing willingness to hear the grievance and seek a solution helps to create a safe space. What if you are not the one whose listening the child seeks? I went on my way and soon he resumed his wailing. The fact that he could pause and resume showed a certain degree of maturity. I did not take this to mean that he was not “really” crying. I took it to mean that he could pause and resume, itself a useful skill. 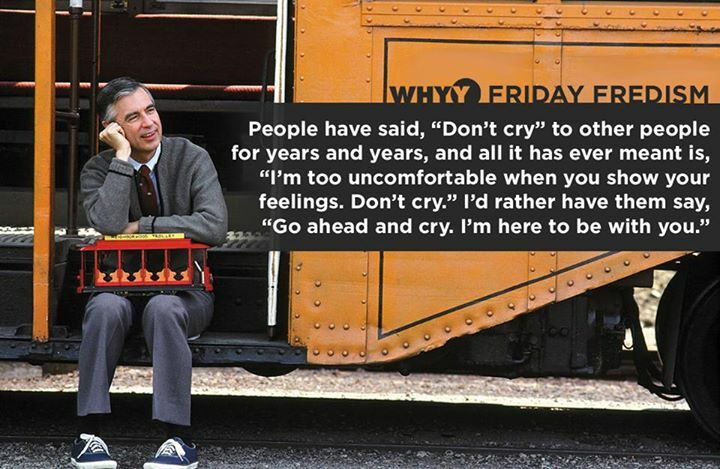 Just because one can stop crying does not mean that one (always) should. This brings me to my second teacher, my daughter. While neither my husband nor I ever told her “don’t cry,” or suggested that crying was anything to be ashamed of, we did not truly recognize its positive role. She gave us a new perspective on crying, when she was old enough to explain it to us. She liked to cry, she said matter-of-factly. “Once I start crying, I need to get all the crying out.” And she would feel calm and peaceful afterwards. Since many people react with alarm to the sight of someone crying, she learned as a child to run to a private place to cry, but we learned to stay calm and let her know that we would be available but not get bent out of shape if she wanted to have a good cry. One can value crying while still channelling it to appropriate times or places. Knowing that one can pause or stop is not to be confused with internalizing the “don’t cry” imperative. To pause crying is to keep it on one’s to-do list, simply finding a more suitable moment. It does not defer it indefinitely, though like many things on our to-do list, it may sometimes fall off our agenda. If you are trying to kick the habit of saying, “Don’t Cry,” here are some suggestions. Admittedly these examples may sound facile compared to the situations that provoke you to say “don’t cry” but they may help you think through your own responses and come up with practical strategies. If you mean “get on with it:” Explain the time constraints. Without devaluing the need to express emotions, lay out why you would recommend moving on and make time to discuss what happened later. For example, “I know that you wanted to stay longer in the library but we need to catch the bus now. If we miss this bus we will not get home in time to make dinner. I wish we could stay longer too. If you mean, “don’t bother me:” (Ask yourself, do you really mean it?) “Sweetheart, I want to listen to you but I am looking at the train schedule right now. Once we have our plan worked out then let’s talk about it.” In short – make time to talk about it later. You can even suggest drawing or writing about it in the meanwhile. If it sounds like whatever we substitute for “don’t cry” involves a good deal of time commitment, you are right. Crying takes time. It is inconvenient, and ruins the mood, unlike laughing and smiling. But it deserves time, even if that means dropping some activities from your schedule, or excusing yourself from an activity for some time if needed. When Benjamin Fine told Elizabeth Eckford, “don’t let them see you cry,” he sought to protect her from the cruel harsh world that had so brazenly violated her civil rights. Last week scientists around the world protested the comments of Tim Hunt who said of women scientists that “when you criticize them, they cry” (among a list of reasons he found it distracting to have women – or “girls” – as he called them in the lab), thus squarely placing himself among those who must not see you cry. While protesting the sexism in the remarks, as well as the manner of communication in these labs, one must not miss the insinuation not only against poor handling of criticism, but against crying as an expression unbecoming of a scientist. (Today an expert has countered that actually men cry more at work.) Among the popular hashtags in the backlash was #crybabyscientist. If you search for “crybaby scientist” you will find a reference to J. Robert Oppenheimer, so-called by President Truman while in office, for expressing regret over the American military use of the atomic bomb. There is a place for emotion in science and in public policy and we suppress it at our peril. These days I find myself tearing up at the slightest provocation. Well, not really so slight, it is just that all my life I have been socialized not to cry and for some inexplicable reason that socializing is coming unravelled. Without realizing that I am about to do so, my voice shakes and I can barely get the words out. It has happened when I least expect, at meetings, on conference calls, and more often than not the hurt feelings I am talking about are not my own but those of someone else. 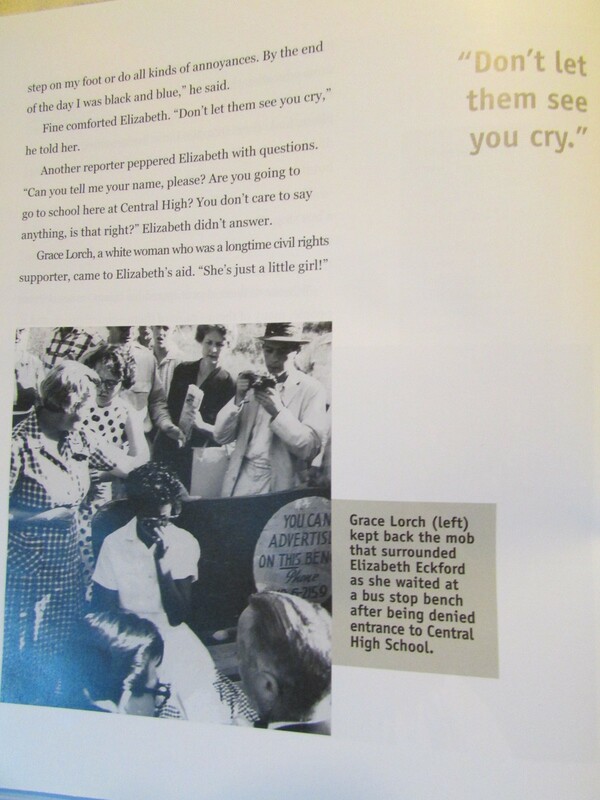 Even the other day, when I went to the library to find the book where I had read about Benjamin Fine telling Elizabeth Eckford, “don’t let them see you cry.” I could not even ask the librarian for the book without choking up. Fortunately she knew just the book I was talking about. Actually this is a well-known moment and is perhaps recounted in every book and article about that incident but I was looking for a particular book that I had recently seen about it and she walked straight to the 379s and found it for me. 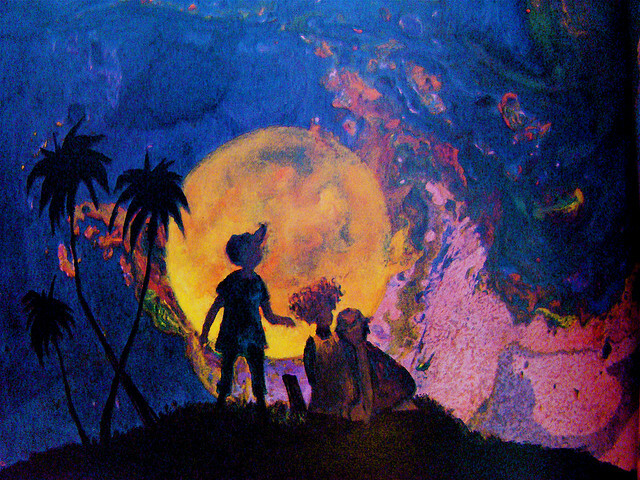 “Well, that is a period of history that I like to read,” she said brightly on her way back to her desk. And indeed in our own lives, the times we will remember for moving us forward will include many times when we were moved to tears. Shelly Tougas, Little Rock Girl, 1957. Next “Don’t Cry.” What does it mean?